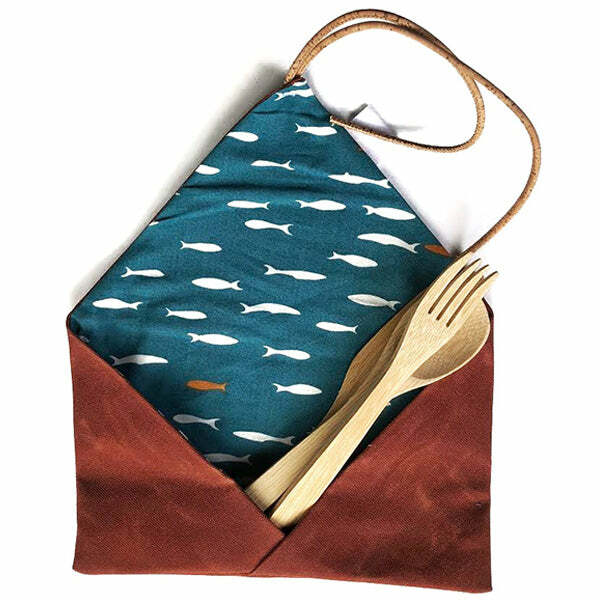 A reusable cutlery set when you're on the go! Free Shipping on all US & Canadian Orders! Did you know that less than a fifth of all plastic is recycled globally? This includes plastic cutlery. 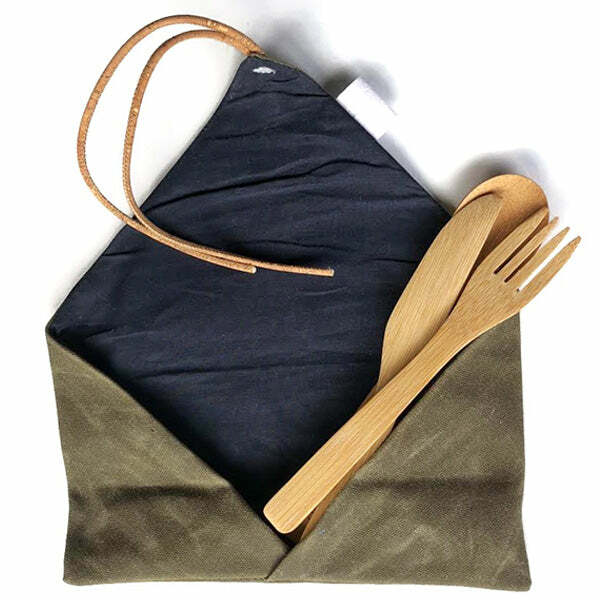 Help our landfills shed some pounds with our reusable bamboo cutlery sets. All natural ingredients means fully biodegradable once at the end of its life - no plastic sent to the landfill! If you are not satisfied with the cutlery set, please contact us - info@shopetee.com - to make arrangements to return it for a repair, replacement or refund. We wanted to use waxed canvas because it looks great (especially with age), it's practical in that it repels stains (we're kinda messy) and it lasts a long time. However, we also wanted to use organic cotton canvas and didn't want any petroleum in the wax (that means no paraffin). It was hard to find either, so we had to figure out how to wax it ourselves using our good old beeswax, tree resin and non-gmo soy wax mixture . In order to have a professional finish that was easy to sew, we did a lot of googling and even more experimenting (think mad scientist explosions). It took several months, but the results speak for themselves. 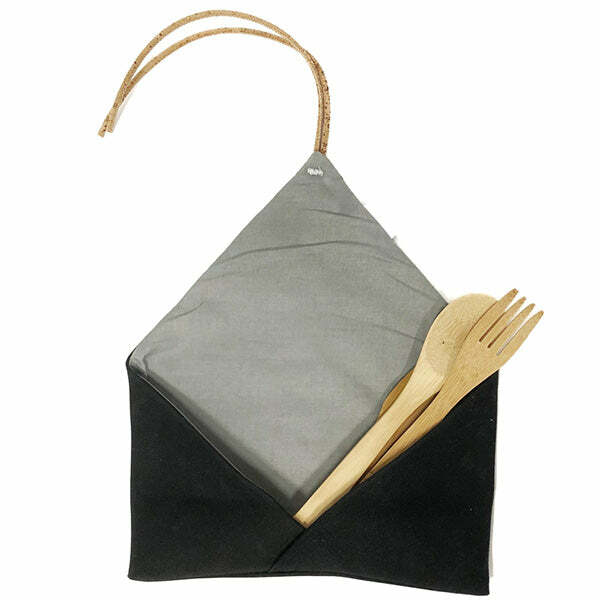 Our cutlery cases are made of GOTS certified 100% organic canvas that is hand waxed using Certified Organic beeswax, tree resin, and a touch of non-gmo soy wax. 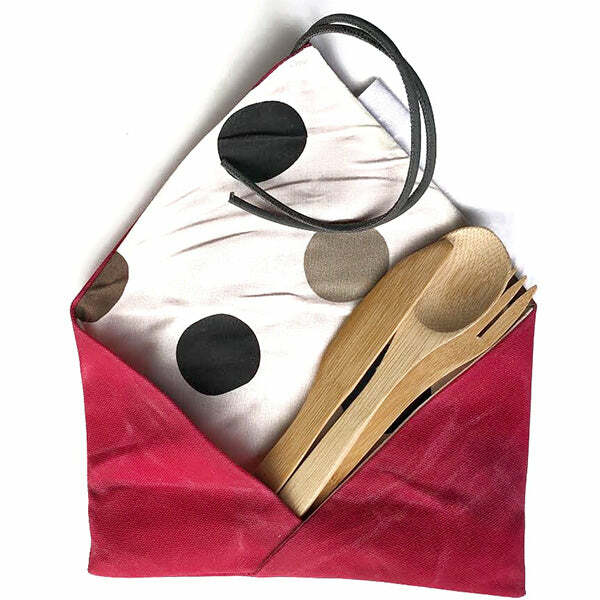 The cases are lined with organic cotton printed using low impact dyes and wrapped together with Portuguese - biodegradable - cork twine. Easy peasy! Put your cutlery, straws and whatever else you want with you on the go into the base of the case. Roll the case upwards, wrapping the cork twine around it and secure the twine in the loop! Gently hand wash the case with cold water and an alcohol free dish soap. Hang to dry. 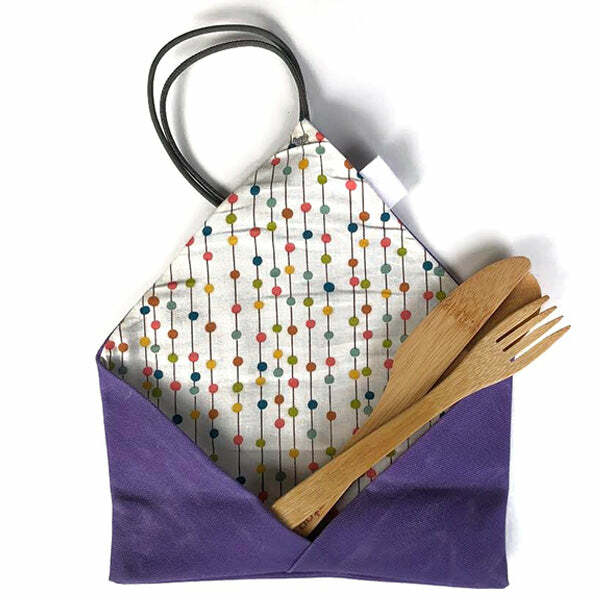 The bamboo cutlery is easily hand washed in warm water with dish soap and air or towel dried. The bamboo cutlery is 7.5 inches tall. The cutlery case has a width of about 8.5 inches and its height is about 10 inches tall fully unrolled (the cases are hand made so there may be slight variations between each one). 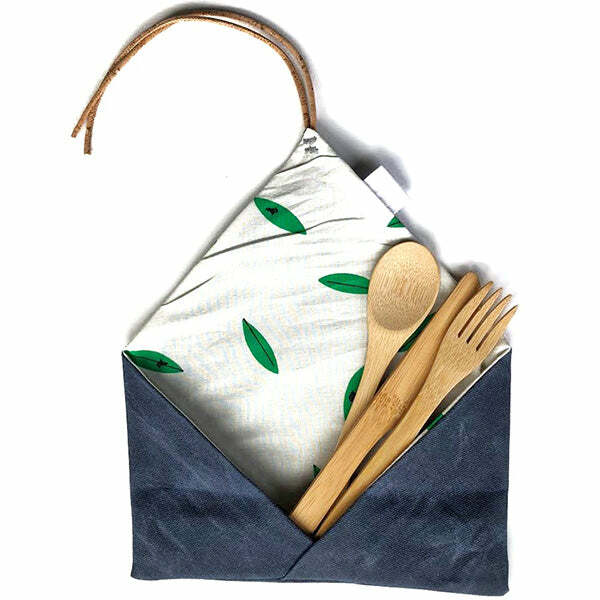 Want to Add Bamboo Straw to Your Cutlery Set? Did you know approximately 500 million straws are used and then chucked into the trash in America every day? Want a plastic-free option for your family to sip on? Our reusable, organic, sustainable and FDA approved bamboo straws are another simple daily action you can take in the fight against single use plastics. Our straws are paired with a plastic-free brush made of natural animal hair fibres for cleaning.